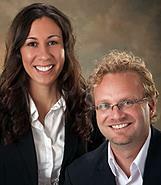 Your best source for real estate in Central Wisconsin. Whether you are buying or selling, YourChoiceRealty.net is your best choice. How is yourChoiceRealty.net different from "traditional" Real Estate Brokerages? * Involvement: yourChoicerealty.net is vastly different from "traditional" Real Estate Brokerages in that you, the home-owner, are actively involved with the sale of your home. Say goodbye to "they just put a sign in the yard and I never saw them again". * Choices: We offer 4 distinct, comprehensive listing packages that you, the home-owner can select. Wether you have sold homes many times, used to be a Realtor, or have no idea even where to begin, we have the perfect fit for you! * Flexibility: Our business hours are 24/7. We come to you, whenever, wherever. If another Real Estate Agent wants to set up a showing on your home, they won't have to wait until the weekend/holiday is over. * Superior Marketing: yourChoiceRealty.net uses a Point2Agent website that markets your home to over 80 websites and 300 destinations! Because we belong to the Multiple Listing Service (MLS), your listing will appear on every local website in the entire state! Of course, your listing will also appear on our website: yourChoiceRealty.net where we have the ability to present 48 pictures, a lengthy description, virtual tours, highlights, and room-by-room descriptions. No matter what listing package you select, you receive the best marketing around! * Exposure: The more people that view your home, the better your chances of attracting the right buyer. Our Monthy Open House Program offers home-owners the opportunity to have an Open House every month! Ths program is absolutely free, and you can join/quit at any time! It is available with every listing package! These are only a few of the many differences between us and everyone else! To learn more, please feel free to call, text, e-mail or fax us, as we would be delighted to tell you all about us and what we can do for you! At yourChoiceRealty.net, we understand that paying a 6...7 or even 8% commission to sell your home can be abhorrent, especially considering the current market conditions. While its true that all commissions are negotiable, most brokers are simply unwilling or unable to negotiate them. At YourChoiceRealty.net we have done the negotiating for you with confident MLS listing packages starting at only 3% TOTAL commissions paid. By allowing our clients to choose and pay for only the services they need, we can provide the most profitable real estate transaction possible. It is our goal at YourChoiceRealty.net to sell your property quickly, professionally, and at the lowest possible cost to you, our client. *buyer-agency representation with no additional broker fees. *constant contact, and up-to-date e-mail notifications of new listings matching your personalized criteria. Your home... Your money... Your Choice.